Disclaimer: I was compensated for this review but all words and opinions expressed are 100% my own. 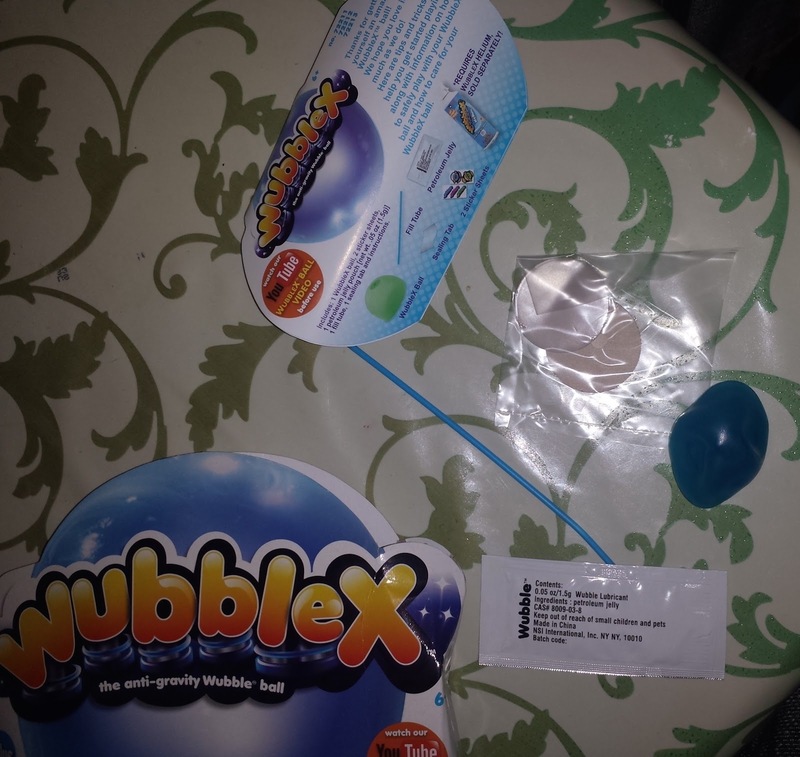 What comes with the Glo Wubble - Air pump to blow it up (requieres 4 D batteries), lubricant for pump nozzle to go into the wubble ball and instruction. Valentina playing with the Glo Wubble. Siblings having fun with the glow wubble. 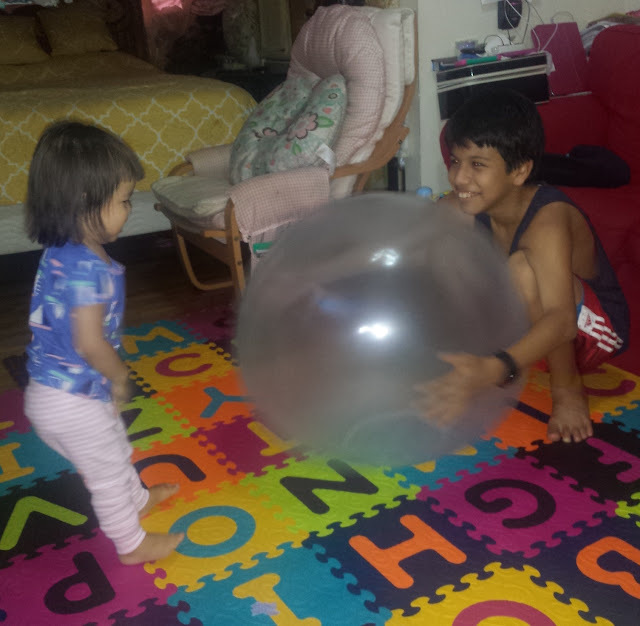 The kids were excited to play with the glo wubble. It does provide hours of fun and the only difficult thing is getting it full of air. Even though they provide you with the petroleum jelly for the nozzle it really is hard to get into the glo wubble. Once that part is over it's fun to watch the glo wubble grow. The kids kept bouncing it all over the living room, the material does make it easy to trap dirt on it but it also cleans easily. It's also easy to disinflate. All in all it's a fun toy and does make for a nice stocking stuffer. Ours hasn't popped yet and it's been 4 days now of inflating and disinflation. It makes for a nice soft ball to kick around and play around, plus it doesn't hurt that much when you get smacked in the face :) Trust me it's happened to me a few times already! That was it for the Wubblex, I wish it didn't pop so easily. It does provide hours of fun but keep in mind that it will pop easily. It does make for a fun stocking stuffer and your kids will have fun. The wubble balls are also fun to get the kids up and moving, they make great fitness toys that will help get your child up and moving and out of the tv. Have you played with a Wubble ball before?